A monstrously big guide that teaches you how to draw the silliest and scariest zombies, vampires, witches, ghouls, and other creepy cartoon favorites. 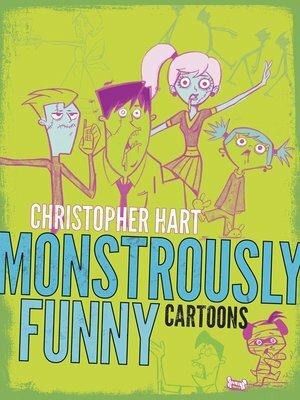 Aspiring artists learn all the drawing tips and tricks they need to create laugh-out-loud renditions of their favorite monsters and scary creatures direct from cartooning master Christopher Hart. This jam-packed cartooning guide shows readers how to capture the lighter side of these creepy creatures by combining them with Hart's incredibly popular cartoon drawing style! Taking readers step-by-step through each monster type, Hart demonstrates how to draw everything from terrifyingly silly heads to wacky comic strip-like scenes of monstrous menace. Chockful of hints, humor, and horror, The Ginormous Book of Monster Cartoons is guaranteed to be a real scream for aspiring and professional artists, as well as all fans of things that go bump in the night.